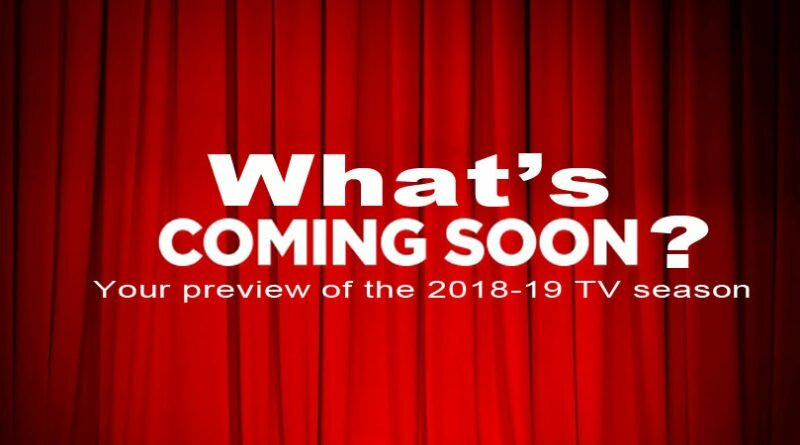 As one TV chapter ends, another begins as new series are announced for the 2018-2019 season. Expect to see some fresh faces but there will be some very familiar ones who try to make a comeback. 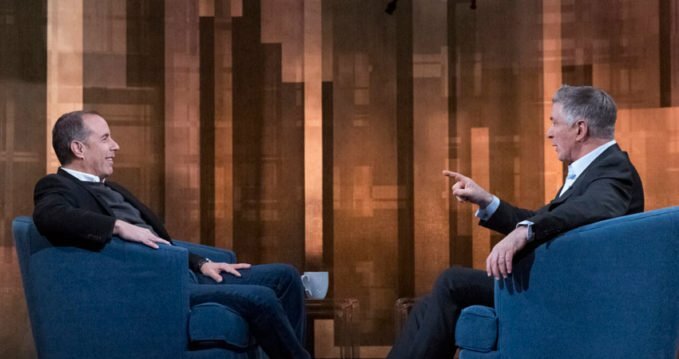 Host Alec Baldwin has one-on-one conversations with interesting people from American pop culture. The show is executive produced by Jason Schrift, along with Baldwin and Mallory Schwartz. A traditional Irish-Catholic family of 10 navigates the turbulent 1970s in a working-class Los Angeles suburb. Starring Michael Cudlitz, Mary McCormack, Sam Straley, Caleb Martin Foote, Sawyer Barth, Christopher Paul Richards, Jack Gore, Andy Walken and Santino Barnard. The series is inspired by the childhood of writer/executive producer Tim Doyle, who also narrates. Watch the trailer here. A life-altering incident inspires a small-town guy to pursue his dream of becoming an officer with the Los Angeles Police Department. Starring Nathan Fillion, Alyssa Diaz, Richard T. Jones, Titus Makin, Mercedes Mason, Melissa O’Neil, Afton Williamson and Eric Winter. Watch the trailer here. Single parents rely on each other for help raising their children and maintaining personal lives outside of parenthood. 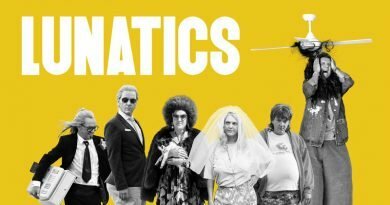 Starring Brad Garrett, Taran Killam, Leighton Meester, Kimrie Lewis, Jake Choi, Marlow Barkley, Tyler Wladis, Devin Trey Campbell, Grace Hazelett and Sadie Hazelett. Watch the trailer here. What’s it about: An unexpected death inspires a group of friend to take control of their lives and helps them realize the relationships they share may be the one thing that can save them from themselves. 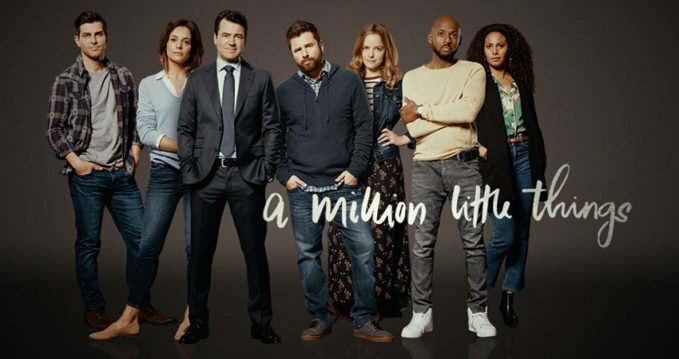 Starring David Giuntoli, Ron Livingston, Romany Malco, Allison Miller, Christina Moses, Christina Ochoa, James Roday, Stephanie Szostak and Lizzy Greene. Watch the trailer here. 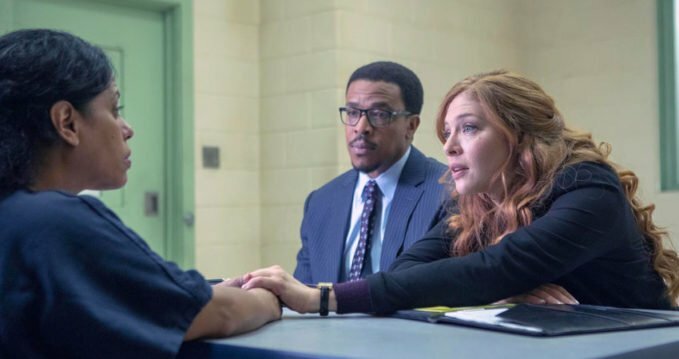 An attorney whose career was derailed by a murder case involving a celebrity gets a second chance to prosecute him when he comes under suspicion in a similar crime eight years later. Starring Robin Tunney, Adam Rayner, Merrin Dungey, Breckin Meyer, Marc Blucas, Mouzam Makkar, Alex Saxon, Scott Cohen and Adewale Akinnouye-Agbaje. Watch the trailer here. Wealthy and beautiful guests bask in luxury — while scandals unfold behind the scenes — at Miami Beach’s last family-owned hotel. Starring Demian Bichir, Roselyn Sanchez, Denyse Tontz, Bryan Craig, Wendy Raquel Robinson, Lincoln Younes, Shalim Ortiz, Anne Winters, Chris Warren, Feliz Ramirez and Justina Adorno. Watch the trailer here. Will Chase and Francesca Trowbridge lead an interagency team of flawed, funny and heroic spies, all while navigating the rocky roads of friendship, romance and office politics. 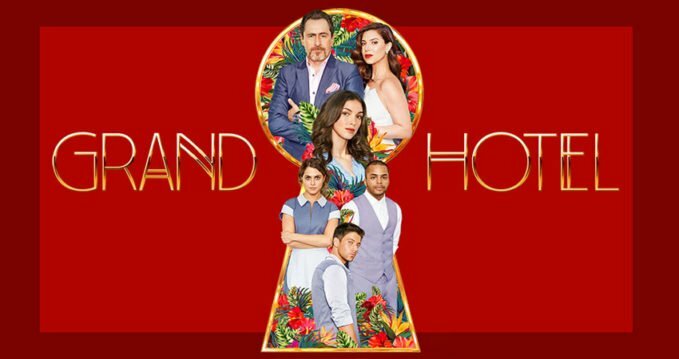 Starring Scott Foley, Lauren Cohan, Ana Ortiz, Tyler James Williams and Vir Das. Watch the trailer here. In this “Goldbergs” spinoff, Head of School John Glascott leads a faculty of teachers with wildly different views on how to mentor students. Starring Tim Meadows, Bryan Callen and AJ Michalka. Story by Marc Firek and Adam F. Goldberg. A friend request on from God on social media leads an outspoken atheist down an unexpected path as he works to get to the bottom of what he believes to be an elaborate hoax. Starring Brandon Micheal Hall, Violett Beane, Suraj Sharma, Javicia Leslie and Joe Morton. Watch the trailer here. When a man moves his family from Michigan to Los Angeles, he realizes that the secret to fitting in to his new neighborhood is befriending the opinionated man who lives next door. Starring Cedric the Entertainer, Max Greenfield, Sheaun McKinney, Tichina Arnold, Dreama Walker, Marcel Spears and Hank Greenspan. Watch the trailer here. A 30-something happily married couple begin to reconnect with their younger, cooler selves when Cooper, an exuberant young pop star drawn to their super-ordinary suburban life, unexpectedly moves in with them. Starring Damon Wayans Jr., Amber Stevens West, Felix Mallard, Stephnie Weir and Chris Parnell. Watch the trailer here. A former Navy SEAL repurposes his military skills to become a private investigator, with the help of his trusted buddies and fellow POW survivors T.C. and Rick. Starring Jay Hernandez, Perdita Weeks, Zachary Knighton and Stephen Hill. Watch the trailer here. First-class agents bring all their talents, intellect and technical expertise to tenaciously investigate cases of tremendous magnitude, including terrorism, organized crime and counterintelligence, in order to keep New York and the country safe. Starring Missy Peregrym, Zeeko Zaki, Jeremy Sisto and Ebonée Noel. Watch the trailer here. The broadcast news legend is back with her original FYI team, reporting current events in a very different world of 24-hour cable, social media, “fake news” and a vastly different political climate. Starring Candice Bergen, Faith Ford, Joe Regalbuto, Grant Shaud, Jake McDorman, Tyne Daly and Nik Dodani. Watch the trailer here. The military’s brightest minds tackle the country’s toughest legal challenges at the Marine Corps Base Quantico. Starring Anna Wood, Ato Essandoh, Phillipa Soo and Raffi Barsoumian. A young woman’s vision of a perfect life is radically altered when her 16-year-old half-sister unexpectedly comes to live with her. Starring Nina Dobrev, Tone Bell, Odessa Adlon, Brian Stokes Mitchell and Sheryl Lee Ralph. The lives of three vastly different Chicago families intersect in the wake of the mistaken shooting of an African American doctor by a white cop. Starring Noah Wyle, Emayatzy Corinealdi, Aliyah Royale, Noel Fisher, Howard Charles, Elizabeth Laidlaw, Vinny Chhibber and Michael Patrick Thornton. 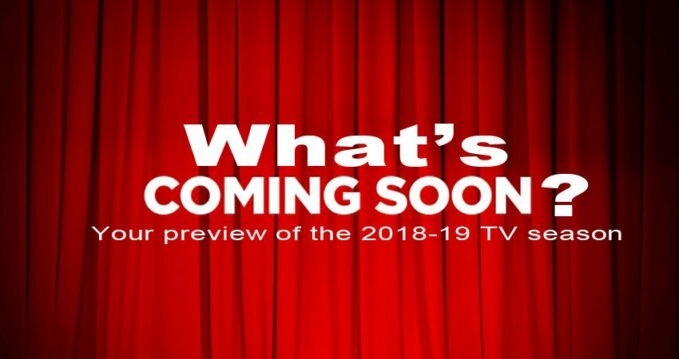 2018 TV’s renew or cancel — Which of your favorite shows made the cut? Based on the original WB series, three sisters discover they are powerful witches with a duty to battle dark forces under the guidance of their whitelighter. Starring Melonie Diaz, Sarah Jeffery, Madeleine Mantock, Rupert Evans, Ser’Darius Blaine, Charlie Gillespie, and Ellen Tamaki. Two worlds collide when a football player from Compton is recruited to play for a high school in Beverly Hills. Starring Daniel Ezra, Taye Diggs, Samantha Logan, Bre-Z, Greta Onieogou, Monet Mazur, Michael Evans Behling, Cody Christian and Karimah Westbrook. 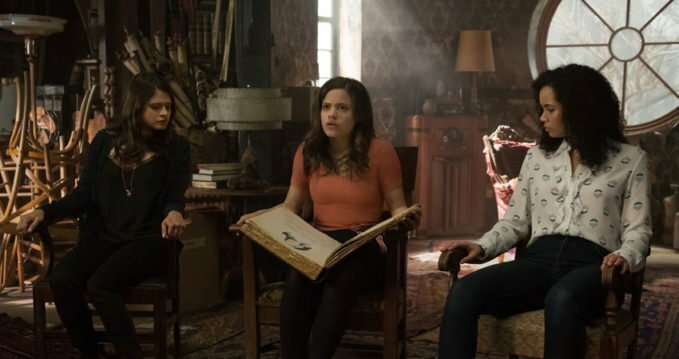 Students at The Salvatore School for the Young and Gifted — including Hope Mikaelson and Lizzie and Josie Satlzman — protect Mystic Falls and the world. Starring Danielle Rose Russell, Jenny Boyd, Kaylee Bryant, Quincy Fouse and Aria Shaghasemi, with Matt Davis. A Chicago father must rebuild his life after his wife has an affair with his barber and moves to Cleveland with their children. 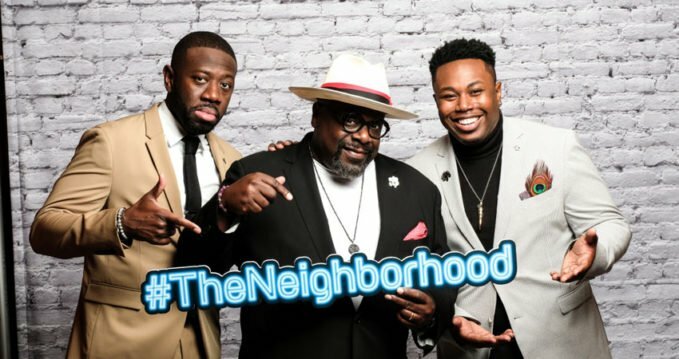 Starring Lil Rel Howery, Sinbad, Jess “Hilarious” Moore and Jordan L. Jones. Watch the trailer here. 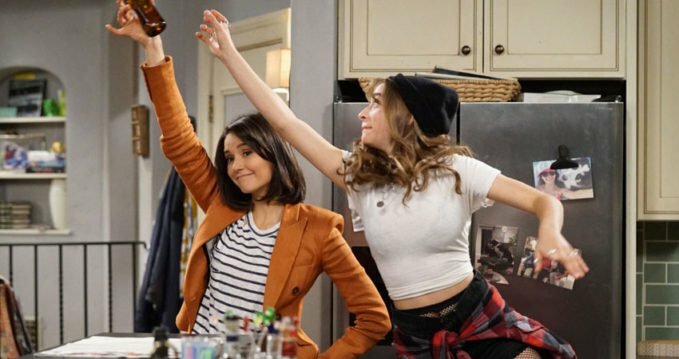 The show returns back to the small screen after a previous cancellation on ABC. Mike (Tim Allen) continues to navigate his family life which is full of women. Starring Tim Allen, Nancy Travis, Jonathan Adams, Amanda Fuller, Christoph Sanders and Jordan Masterson. Watch the trailer here. A rag-tag group of friends living in a retirement community has no problem breaking every rule to have fun. Starring David Alan Grier, Martin Mull, Leslie Jordan and Vicki Lawrence. Watch the trailer here. A federal agent protects a young girl from a secret medical facility where scientists are experimenting with a dangerous virus, creating new beings with the potential to usher in an unimaginable apocalypse. Starring Saniyya Sidney, Mark-Paul Gosselaar, Brianne Howey, Vincent Piazza, Jamie McShane, Caroline Chikezie and Emmanuelle Chriqui. Watch the trailer here. A woman who spent seven years in prison on a wrongful conviction dedicates herself to defending others while continuing to search for the real killer in her own case. Starring Rachelle Lefevre, Russell Hornsby, Vincent Kartheiser, Riley Smith, Brian d’Arcy James, Nikki M. James and Clare O’Connor. Watch the trailer here. Host Neil deGrasse Tyson translates revelations of science into a lavishly transporting experience, taking audiences on a series of spiritual voyages of exploration. Watch the trailer here. When Flight 828 lands in New York after a turbulent but routine flight, all 191 souls on board are astonished to discover they’ve been missing for five years, their friends and families moved on without them, and their lives will never be the same. Starring Melissa Roxburgh, Josh Dallas, Athena Karkanis, J.R. Ramirez, Luna Blaise, Jack Messina and Parveen Kaur. Watch the trailer here. Dr. Max Goodwin is brilliant, charming — and the new medical director at America’s oldest public hospital, where he’s set on tearing down the bureaucracy to provide exceptional care. 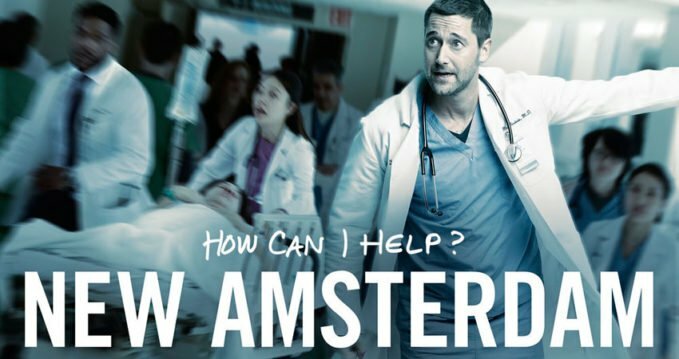 Starring Ryan Eggold, Freema Agyeman, Janet Montgomery, Jocko Sims, Anupam Kher and Tyler Labine. Watch the trailer here. Emet is the perfect mom, boss, wife, daughter and friend… well, not exactly perfect — she’s really just figuring it out like everyone else; but she’s realizing as long as she doesn’t become her mother, it’s all going to work out pretty great. Starring Sarayu Blue, Paul Adelstein, Aisling Bea, Zach Cherry, Johnny Pemberton and James Buckley. Watch the trailer here. The oddball cast of characters that hangs out at Abby’s believe that everyone needs a bar to call home — and theirs just happens to be in Abby’s backyard, where the drinks are cheap, the rules are serious, and the laughs abound. 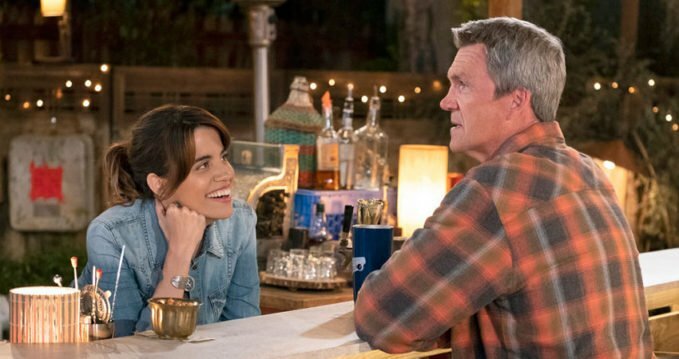 Starring Natalie Morales, Nelson Franklin, Kimia Behpoornia, Jessica Chaffin, Leonard Ouzts and Neil Flynn. Against every fiber of his being, FBI Agent Will Keaton enlists brilliant former CIA operative Erica Shepherd — now the most notorious traitor in American history — to help capture a fiercely dangerous and elusive criminal she knows all too well. 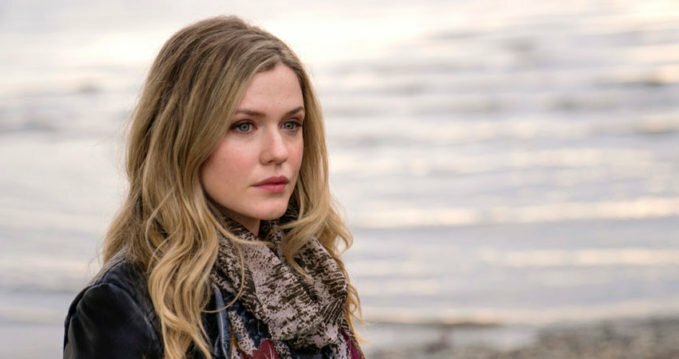 Starring Jennifer Carpenter, Morris Chestnut, Raza Jaffrey and Kelli Garner. A unique apartment building in Brooklyn houses a bonded family of friends and neighbors whose hopeful, heartwarming and challenging stories prove family is everything, even if it’s the family created with the people around them. Starring Moran Atias, Dominic Chianese, Warren Christie, Frankie Faison, Jerod Haynes, Daren Kagasoff, Michaela McManus, Lorraine Toussaint and Grace Van Dien. When her friend Detective Tom Hackett and his new partner, former FBI Agent Damien Asante, need help solving a murder, Cassie Bishop, a woman who sees and communicates with the dead, agrees to use her abilities to help the detectives … and the dead. Starring Harriet Dyer, Anne-Marie Johnson, Cindy Luna, Chad James Buchanan and Paul Blackthorne.